2005-02-07 [Solitiaum]: i already have this one though! 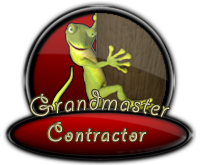 2005-02-14 [Pyromaniac]: ok if i make an awsome wiki could i be a contractor? 2005-02-14 [Orestez]: It must be an Official Elfpack page. 2005-02-22 [Fun Lovin' Criminal]: why don't you make my help wiki's official? 2005-02-22 [Solitiaum]: Mine is isnt official, either, and im a council member. Dont feel bad, we just havent gotten that fat yet. 2005-03-12 [~*spawn*~]: Elfpack Graphics is an official page now, I think - mind if I add it next to my name? 2005-03-13 [Solitiaum]: Yes, its official. But no, you cant add it next to your name. Ask Sunrose to do it for you. 2005-05-26 [Sunrose]: eh [Dwemer]? why did you edit the page without changing anything? 2005-05-26 [Orestez]: He was copying some source from it and accidentaly hit the save button, lol. 2005-06-14 [Dwemer]: I suggest I take over the History project. 2005-06-14 [Sunrose]: What history project? 2005-06-14 [Dwemer]: Elfpack's History project, by glen. 2005-06-14 [Dwemer]: ^_^ Thanks. I'll keep the credits on Glen. Fair eh? 2005-06-21 [Dwemer]: Since Glen's back, the project is back on him. 2005-06-28 [Dwemer]: Sunny I've no problem [Asrun] becoming a contractor, but her page is not official.